How is Schmidt Custom Floors Green? Wood is produced in a natural factory called a forest by a renewable energy source called the sun. Wood is a naturally-renewable resource, and it is also recyclable. Old wood from ships, warehouses, barns, and other structures often find a second life in wood flooring. Wood flooring is also the most abundantly-renewable flooring material available. Sustainable forest management makes it possible to harvest wood without any negative impact on the environment, because trees are a renewable resource that can be replaced time and time again. Every year, 35 million trees are planted in forest lands of Wisconsin. That’s five new trees for every one harvested. Wisconsin has long been considered a national leader in reforestation practices. Schmidt Custom Floors makes every effort to be as green as possible. Leading allergists agree that wood floors are the perfect choice for a healthy home, and we agree ourselves! We are your choice for green flooring, from the cleaning products that we make available to you to the standards by which we must abide as a flooring contractor. We carry many water-borne finishes that are elegant, clear, and durable and have very low levels of toxic fumes. They are non-yellowing and will not change color over time, highlighting the true beauty and elegance of your wood floor. Water-borne finishes are environmentally safe with low levels of VOCs (volatile organic compounds) and few toxic fumes. You do not have to move out of your house during refinishing. As the finish dries, water, not toxic solvents, evaporates, leaving the protective polyurethane coating on the wood. Because of the Lacey Act which makes it unlawful to “import, export , transport, sell, receive, acquire, or purchase in interstate or foreign commerce any plant (including wood products) taken in violation of the laws of a U.S. state, or any foreign law that protects plants,” we make sure we know exactly from whom we are buying our wood. The majority of our Schmidt Custom Floors wood originates from mills in Wisconsin, more specifically Birnamwood, Laona, and Shawano. Our wood also comes from Indiana, Colorado, South Carolina, and Georgia. Schmidt Custom Floors also uses environmentally-conscious suppliers with reputable supplies throughout the world, including in Canada, Brazil, Bolivia, regions in Australia and Africa, and Asia, with the majority coming from Russia. Wool carpet is another sustainable product. It is entirely natural, biodegradable, and renewable. Wool ages gracefully, is flame resistant, and naturally keeps your indoors comfortable. Some say that it is a natural air purifier, collecting airborne dust, pollen, and pollutants. Wool is the perfect year-round floor covering: it is warm in the winter and cool in the summer! Our main suppliers of wood include W-D Flooring, Kersten, Tradelink, Indiana, and Snow Country. Here are specific statements from each supplier about their companies, straight from them. The Connor family has been providing hardwood flooring from its sustainably-managed hardwood forests ever since W.D. Connor led the world in the practice of sustainable forestry in the early 1900s. Today, the Connors own and manage over 40,000 acres of the finest northern hardwoods in Wisconsin and the Upper Peninsula of Michigan. W-D Flooring is one of the largest producers of northern hardwood flooring in North America. All of our products are derived from environmentally-conscious producers and are manufactured with the latest up-to-date technology, from the drying and milling of lumber to your floor. W-D Flooring is proud of the fact that it has 100% utilization of our raw materials and zero waste product. Kersten Lumber in Birnamwood, Wisconsin has been producing lumber for nearly 70 years, since 1938. This third generation sawmill produces quality hardwoods using the latest technology of band saws and scanning equipment. 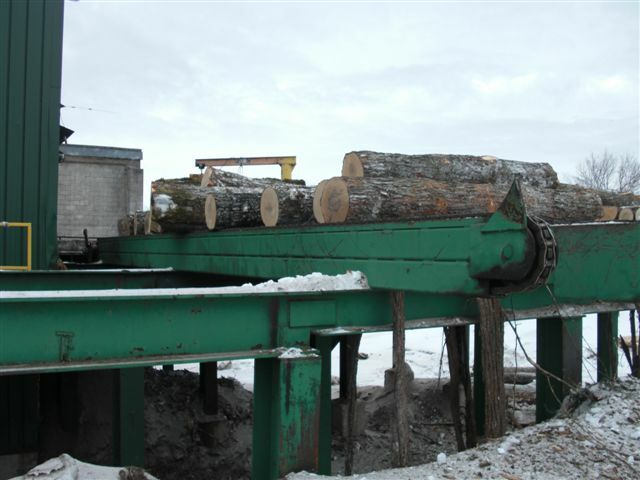 Logs are inspected and evaluated for maximum yield and minimum waste. 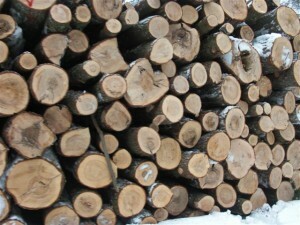 Every speck of every log is utilized. The very best wood is cut for the varying grades of wood products. 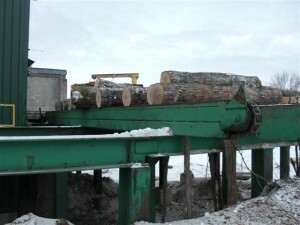 The bark, the chips, and even the sawdust are used for secondary products including beauty bark, fuel for power generation, and fiber for making paper. The Kersten mill produces no solid waste whatsoever. Our products are all renewable and recyclable. Each board foot is inspected by real people, and our experts can spot a defect a mile away. Their experience tells them in which lumber grade the board belongs at a glance. Whether clear grade or low grade pallet lumber, rest assured our lumber will have fewer culls and higher consistency than any other lumber on the market. Our people have an eye for quality and a nose for hardwood. In 2005 our company made a renewable energy significant factor in its production process when we installed a wood-fired boiler. A wood-fired boiler uses sawdust, a byproduct of lumber production, to replace natural gas as the fuel used in our production process. The wood-fired boiler is used to meet the process heating requirements of our lumber drying operation, as well as heating the facility. This boiler improves efficiency, productivity, and our bottom line, saving $91,000 a year in fuel and heating costs. Tradelink is the main supplier of Schmidt Custom Floors’s exotic wood collections. The Tradelink Group is a multi-national business, specializing in procuring, shipping, manufacturing, and marketing hardwood and other timber products worldwide. The management team has many years of extensive experience in these fields. We promote the use of renewable hardwood timber as alternative to synthetic and finite substitutes. We feel that, because of the help of scientists, foresters, governments, environmentalists and the timber industry itself, we are confident that hardwoods will remain the ideal choice forever. Snow Country Hardwoods, Inc. is located in the beautiful, pristine woodlands of Hurley, Wisconsin. Located about 45 miles east of Ashland, Wisconsin and only a stones throw away from the Michigan state line. Snow Country Hardwoods, Inc. and Snow Ridge Lumber, Inc. are sister companies of Snowbelt Hardwoods, Inc., both located in the Hurley Industrial Park on a 40 acre parcel of land. Snow Country Hardwoods, Inc. specializes in molding and millwork, which offers kiln drying, defecting, molding, optimizing, sanding, surfacing, and glued panels. Our company produces custom-made dimension wood products and components including: paneling, base, casing, chair rail, crown, edge glued-up panels, cut-to-size blanks, log siding, door parts, flooring, and cabinet and furniture parts. These come in Ash, Aspen, Basswood, Birch, Hard or Soft Maple, Red Oak, and Pine. 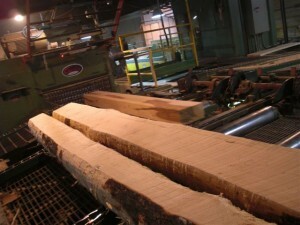 Snow Ridge Lumber, Inc. is the sawmill which produces green lumber and pallet stock materials. While the Forestry Stewardship Council (FSC) is best known for world-class forest management, nearly 29,000 companies are certified to the FSC Chain of Custody Standard. The FSC mission is to promote environmentally-sound, socially-beneficial, and economically-prosperous management of the world’s forests. FSC’s vision is that we can meet our current need for forest products without compromising the health of the world’s forests for future generations. People all over the world depend on forests to live. They filter the water we drink and the air we breathe. Worldwide, over 1.6 billion people rely on forests for their livelihoods, including food, clothing, or shelter. Forests are home to nearly half of the world’s species, including some of the most endangered birds and mammals, such as orangutans, gorillas, pandas, Northern Spotted Owls, and Marbled Murrelets.